Monetize like you mean it. Process a high-volume of transactions quickly and securely with an enterprise account that supports your growing software platform. Your customers expect the best, and you should too. PaymentSpring partners with software platforms to provide a fast and reliable payment gateway with 24/7 real-time monitoring and strategic business solutions. It’s our goal to help monetize your SaaS product and deliver the most secure and user-friendly experience to your customers. Contact us about high-volume discounts and attractive partnership referral pricing. Integrate seamlessly in less than a minute. Receive real-time system monitoring 24/7 to identify and address potential issues before they become a problem. Rely on our PCI Level 1 Certification to reduced your PCI scope. Provide customers with a customizable checkout button. Partner with our strategists to roadmap business solutions. Consult with our marketing experts to plan and implement outbound sales call campaigns. Monitor Gateway activities with webhook notifications. Access our powerful REST API docs. PaymentSpring enterprise accounts are backed by exclusive Partner Tools specifically developed for software platform providers. Accept mobile and online transactions in a single gateway. Receive most credit card payouts in two business days. Run secure transactions and vault sensitive ACH and credit card information. Send electronic invoices and donation requests instantly. 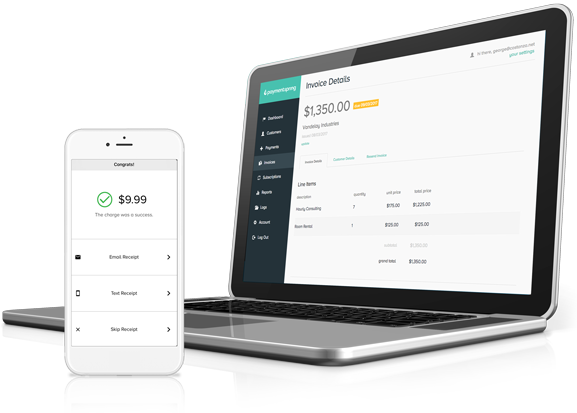 Establish recurring and one-time payments with one click. 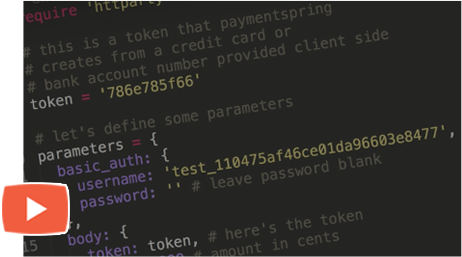 Software platforms using PaymentSpring’s tech-driven gateway are free to explore every solution in our REST API arsenal. From seamless integration to hands-on marketing support, our team of developers and communication strategists are at your disposal. And integrating with your web application only takes 30 seconds. » Get step-by-step instructions to integrate in 30 seconds.